EPA lawyer Sarah Greenwalt, an aide to EPA Administrator Scott Pruitt since he served as Oklahoma's attorney general, has resigned her position, CBS News has confirmed. Greenwalt's resignation comes as another top Pruitt aide, Millan Hupp, also is due to leave her post at the Environmental Protection Agency on Friday. Both Greenwalt and Hupp came under scrutiny after getting significant pay raises without White House approval. Pruitt said in a statement on Thursday, "I have had the pleasure of working with Sarah for the last several years both while serving as attorney general in Oklahoma and here at EPA. Sarah has been a tremendous leader within the agency, overseeing the start of the WOTUS rewrite as well as playing a vital role in our international relations." Pruitt added, "While her work ethic, dedication and friendship will be missed at the Agency, I know she will find success in her future endeavors in Oklahoma." Greenwalt said in a statement that it's been "an honor and privilege to serve at EPA alongside some of the most dedicated and hardworking public servants." "I want to thank Administrator Pruitt for the opportunity to journey with him over the past six years, and I will always admire his visionary leadership and tenacity. While I will deeply cherish my time serving in the Trump Administration, I am excited for the opportunity to return to my home state to once again serve the people of Oklahoma," she added. Greenwalt's last day EPA is Wednesday, June 13 when she returns to Oklahoma to serve as General Counsel to the Oklahoma Workers' Compensation Commission. 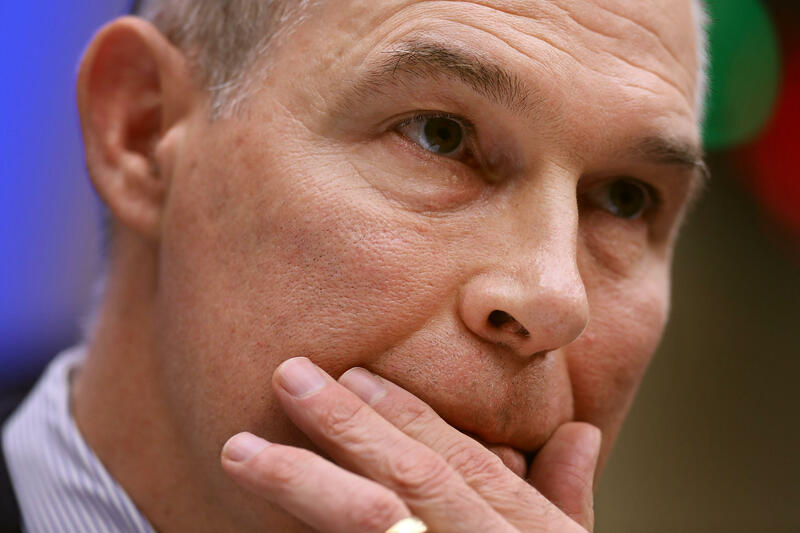 The Atlantic reported in April that Pruitt went to the White House in March with a request for raises for Greenwalt and Hupp. The White House, the Atlantic reported, declined to approve the raises for the political appointees — but Pruitt's office reportedly found a way to make the raises possible anyways. Pruitt was later pressed on the raises while delivering testimony before the House Energy and Environment Subcommittee in late April. Pruitt told lawmakers he actually delegated authority to EPA chief of staff Ryan Jackson to give the raises but didn't know the exact amounts and wasn't aware of the process. During the hearing, Pruitt said he was unaware of the "amount" of the raises. But in a Fox News interview on April 4, Pruitt insisted he didn't approve the raises and didn't know who did. "I found out about this yesterday. And I corrected the action. And we are in the process of finding out how it took place and correct it," said Pruitt when asked by Fox News' Ed Henry if he had known about the raises. He later said that the raises "should not have happened" and the "officials that were involved in that process should not have done what they did." Documents later showed Ryan Jackson did sign off on the raises and indicated he had Pruitt's consent. Greenwalt received raises of more than $66,000, bringing her salary to $164,200. Hupp saw her salary jump to $114,590, after raises of more than $48,000.